This is the second in our series of posts about the Bellingham beer scene. The other day we introduced you to Kulshan Brewing (read it). 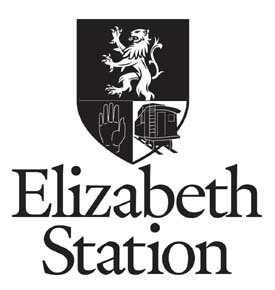 Today we introduce you to Elizabeth Station. I suppose that this post is just an introduction to a new bottleshop. Then again, Elizabeth Station seems like much more. Patrick McEvoy, the owner of Bellingham’s newest beer shop, envisioned a different kind of mini-mart when he took over the space on Holly Street just eight blocks north of Chuckanut Brewery and Kitchen. Patrick owns other convenience stores around town so he is no stranger to the business. He didn’t know what, but he knew that he wanted to do something different with this location. An enthusiastic fan of craft beer, Patrick knew of other convenience stores reborn as bottleshops that also poured draft beer by the pint and filled growlers to go. In fact, he visited a few around Seattle and was intrigued. Those places inspired him but his mind’s eye still saw something slightly different. Eventually he figured it out and Elizabeth Station was born. It is less like a 7-Eleven and more like a gourmet boutique with a lot of really good beer. Instead of the harsh fluorescent overhead tubes that plague most corner markets and sap the room of any ambiance, at Elizabeth Station soft incandescent bulbs illuminate wholesome products (locally sourced when possible) stacked on wooden shelves. Unlike most hop-n-bop stores, nothing here feels harsh and artificial. Most importantly, when it comes to beer the attention to detail is remarkable. The fare is light. Any time of day you can get a made-to-order breakfast sandwich or deli sandwich created by Gus (in the photo below). We enjoyed a bowl of chili with tortilla chips for lunch. Kids of all ages enjoy the cereal bar, which includes a number of different cereal options. They even offer seating at a kindergarten-sized table for the kiddos. Plans are already in the works to expand the kitchen and offer more food options. Although they only have five draft choices, they are well conceived. We found Epic Fluffy Saison, Alameda Imperial IPA, Kulshan Midnight CDA, Harmon Stryker Stout, and Angry Orchards cider on tap when we visited. You are welcome to select a bottle from the cooler and they will open it for you. They also serve and sell wine. There are too many impressive details to list. I’ll mention a few. When I walked in, I wondered what the rows of vintage post office boxes where about. Members of the mug club at Elizabeth Station not only get their own personalize mug, they get a post office box in which to keep it. When you are awarded a mug, you also get a key to your own box. When you’re done drinking, the mug is washed and returned to your box. They have printed information sheets about many of the non-domestic beers they stock and a copy of 1001 Beers You Must Taste Before You Die sitting on the counter. They told us that this kind of detail is particularly popular with the ladies, who seem eager to learn about the beers. They relish the opportunity to educate people about beer. Elizabeth Station sells kegs to go. This is good; I have a friend who lives just a few blocks away and has a kegerator in his garage. I need him to have easy access to kegs. They source most of the beer themselves. A drive to Seattle or beyond is not at all uncommon. Instead of waiting for a distributor (or self-distributed brewery) to bring them the good stuff, they go fetch it. I could go on and on. In closing I will simply say that Elizabeth Station is an exceedingly comfortable place to purchase and consume beer. I immediately felt at home.